What do you do at Office Depot? The words that describe the best what I do at Office Depot are: Taking care of people. On the phone, with external customers, in 1:1’s, team meetings or in interviews, it’s all about them, about making sure they are in the right place at the right time. It’s about making sure everyone gets what they want, always taking into consideration the Company’s core values and purposes. How has working for Office Depot been like for you so far? Working for Office Depot has been a challenging journey. It was my first workplace and I think I couldn’t have wished for anything else. In these four years, I’ve been on an ascending slope and I’ve always had people around me who pushed me to continue the climbing. I have developed as an employee as well as an individual. What excites you about working at Office Depot in the future? I mostly enjoy the fact that I’m always in touch with people, so I never get bored. I like being part of a team made of different personalities that are challenged to find ways of achieving a common objective. I like that my rights are respected and that I know my work is an important contribution for the company as a whole. 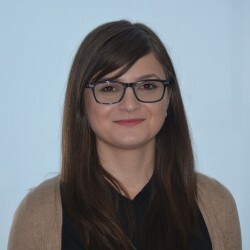 What’s your advice to people who want to join Office Depot? 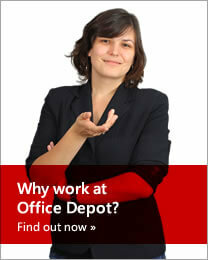 Office Depot is a great place to start your career, as well as to develop professionally. It’s a dynamic workplace, which will certainly get you out of your confort zone and therefore help you grow. At Office Depot, co-workers become friends most of the times. So, if you are looking for a safe job, where you can build up your career, if you are enthusiastic and willing to acquire new abilities that will help you in all areas of your life, join our team! It is a nice working environment, with great leaders and colleagues. If someone asked me what I have to do at work based on my job description, I would state that I am collecting money from our customers.